Metal Trolleys, Mesh Platformwagons | SalesBridges B.V.
Metal Trolleys, Mesh Platformwagons, Warehouse Trolleys. Strong and reliable. Very sharp price. 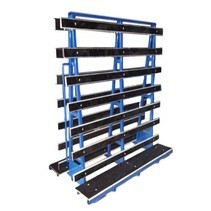 Metal Trolleys, Mesh Platformwagons, Ware house Trolleys. Strong and reliable. Very sharp price.